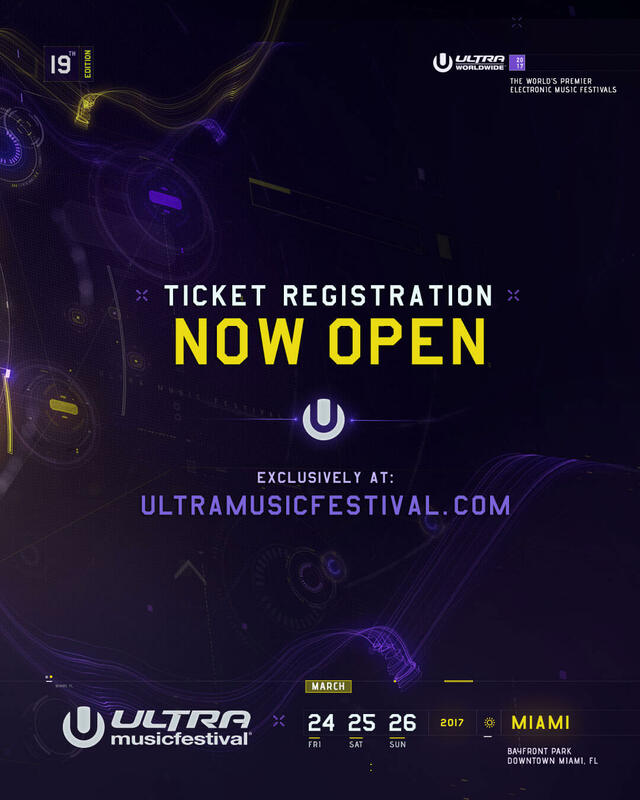 Ultra Music Festival 2017 Ticket Registration Now Open! Ticket Registration for Ultra Music Festival 2017 is now open! Registration is required in order to have access to the lowest-cost tickets when made available.